JASO rated what? The "MA" or whatever, is the rating. I know the JASO rating. What I was saying is that JASO is just the name of the rating system. You need the MA or MA2 or whatever attached. That is the actual rating. Oh, and "ME" is not a 4 stroke motorcycle rating. Don't know what kind of motor that rating is for. Here's a pic of the oil I just put in. Anyone see a problem with it? You mean other than the fact that it's designed and manufactured for an entirely different type of motor which is designed for an entirely different usage and completely different performance parameters? No. It's your bike. You may mistreat it any way you like. that is just a bunch of hooey... they are all water cooled engines, and just because it was designed to handle the extreme pressures of a diesel engine, does NOT negate it being a good oil for the Goldwing engines..... as long as, the viscosity range is correct for the area of use. if the back side of that jug has the bottom half of the circle blank, it is a good oil for our bikes. I am using Rotella T6 in 5w40, and it is a pure synthetic. they don't make a 5w30 which I would prefer.... but they do make 5w20 which would be a bit thin I think at operating temperature. i have been using Shell Rotella 15-40 in all my vehicles for many years. 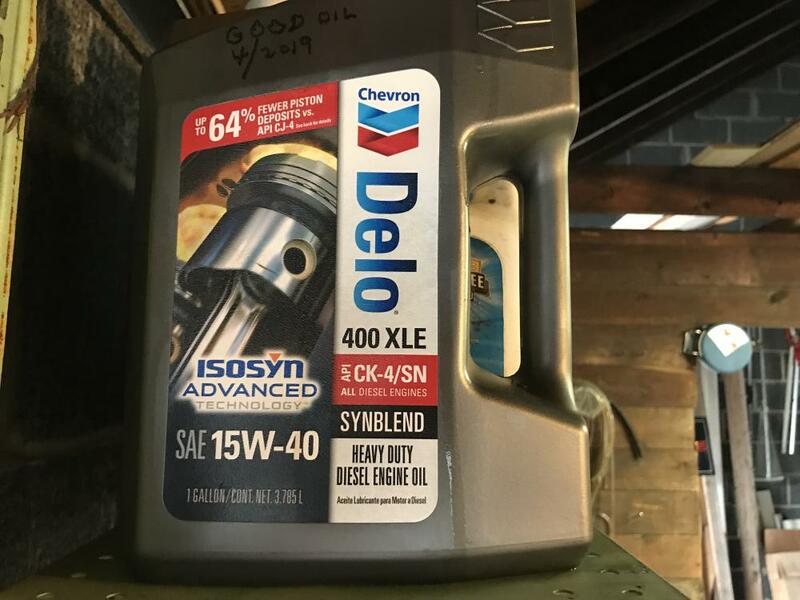 It is a heavy duty diesel oil but meets or exceeds all the specs for all the engines I use it in. I have been a auto mechanic and also my own motorcycle mechanic for many years. Show me how a engine knows the difference from one oil to another??? I run around 5000 to 8000 miles between changes depending on type of driving done on the vehicle between the changes. All my vehicles except the new to me 1999 GL 1500 SE have in excess of 100,000 miles on them and are running strong. Just like my cousins Cummins Diesel trucks. AZgl1800 and PAPete like this.